Effective 29 October 2018, blog posts will be published on Monday, Wednesday, and Friday every week. Please revisit my blog on Monday, 12 November 2018 when the next scheduled post will be published at 4:00 am EST. Regular readers of my blog know that I publish a new post every two days. That way readers aren’t overwhelmed by the stream of information, and I’m not overwhelmed by the demands of publishing a post every day. Plus I like to follow a regular schedule. I decided to tweak the schedule for publishing posts slightly. Beginning on Monday, 29 October 2018 blog posts will be published on Monday, Wednesday, and Friday every week. So if you were expecting to see a new blog post today (Sunday), then please revisit my blog tomorrow (Monday) when the next scheduled post will be published at 4:00 am EST. 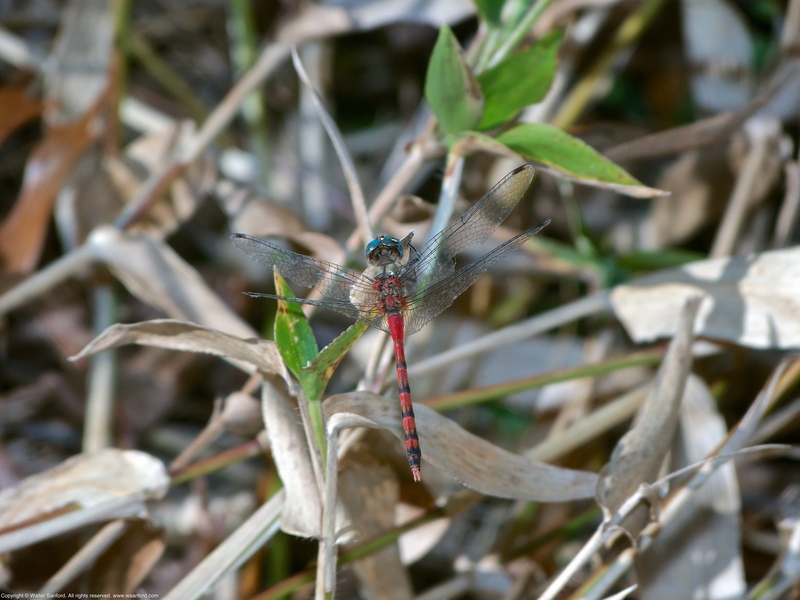 A Blue-faced Meadowhawk dragonfly (Sympetrum ambiguum) was spotted near a vernal pool at remote location in Huntley Meadows Park, Fairfax County, Virginia USA. This individual is a male, as indicated by his terminal appendages. When I post-processed the RAW images of the male dragonfly I noticed he has an eye injury, highlighted in the following annotated image. The eye injury can be seen in two more photos of the same male. 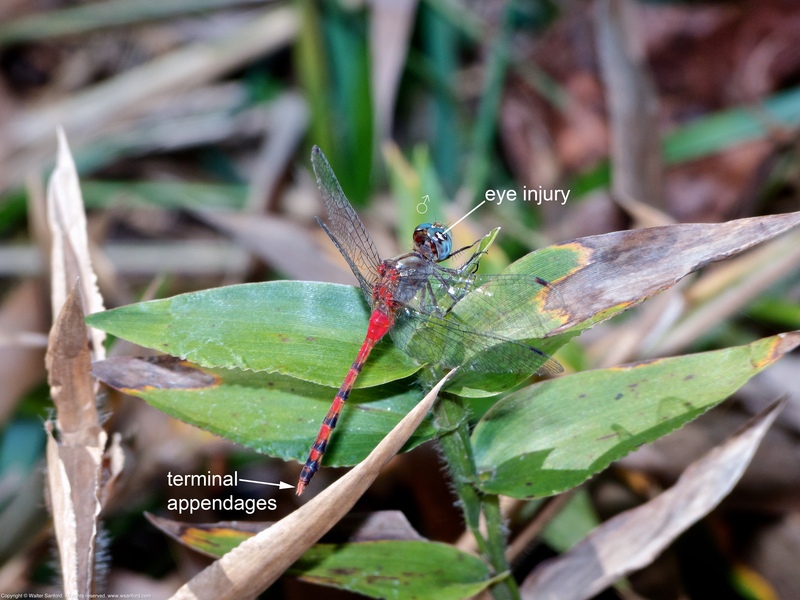 Related Resource: Eye injury, a blog post by Walter Sanford, featuring photos of a female andromorph Blue-faced Meadowhawk dragonfly spotted on 18 September 2013 along the boardwalk of the central wetland area at Huntley Meadows Park. 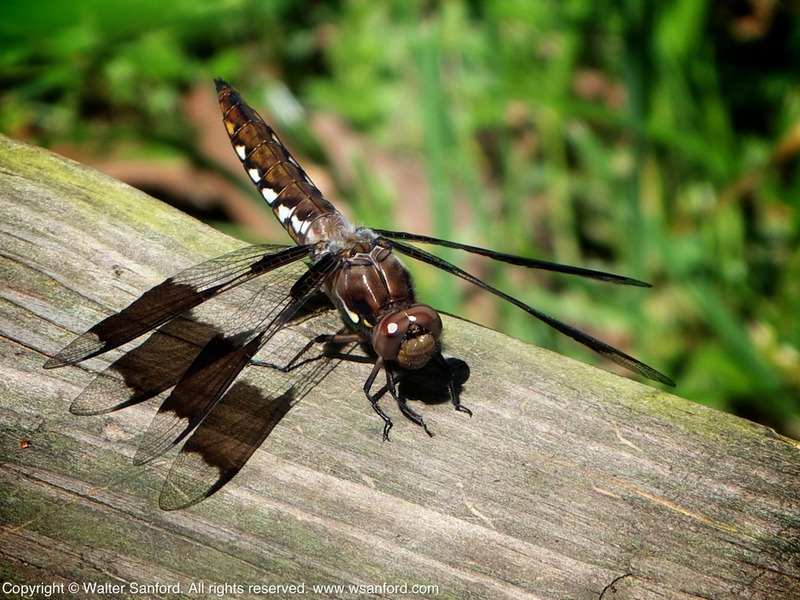 Another view of the same Common Baskettail dragonfly, as seen from a slightly different viewpoint. Good photo, Mike! Despite its name, the Common Baskettail dragonfly (Epitheca cynosura), one of the first dragonflies of the spring, has been observed only infrequently at my local marshland park. Therefore I was pretty excited when sharp-eyed fellow blogger and photographer Walter Sanford spotted a Common Baskettail last week when we were out together searching for dragonflies. Walter consulted with some experts and was able to confirm his initial identification of this dragonfly as a female. How do you tell the gender of a dragonfly? Check out Walter’s recent posting What was your first clue? to learn how he did it. 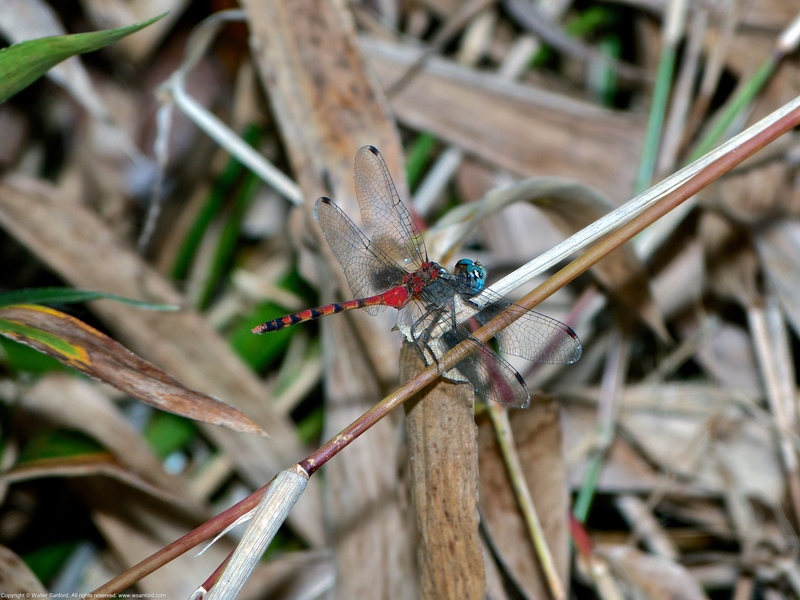 If you are more interested in photography than in dragonfly anatomy, check out Walter’s initial posting on the Common Baskettail dragonfly. We both photographed the dragonfly at the same time, but our angles of view and equipment were different, so the resulting images are similar, but not identical. It’s official: Posterous will turn off on April 30, 2013. 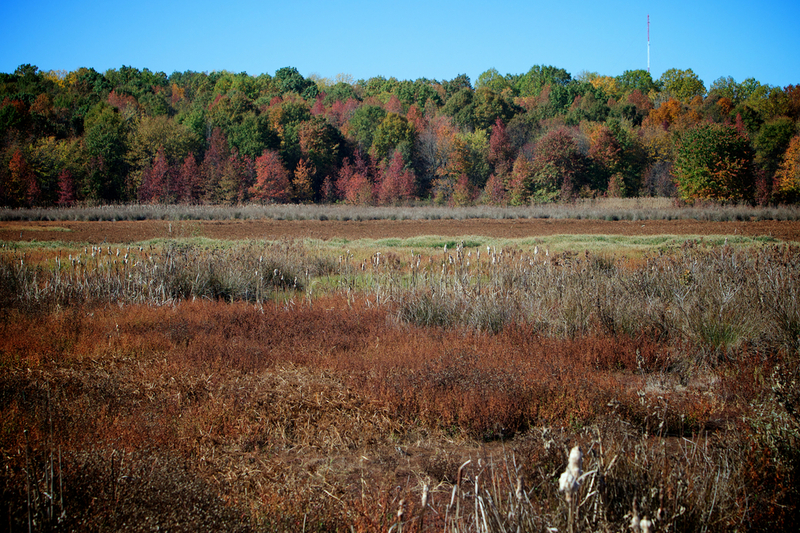 My new photoblog will be hosted on WordPress. 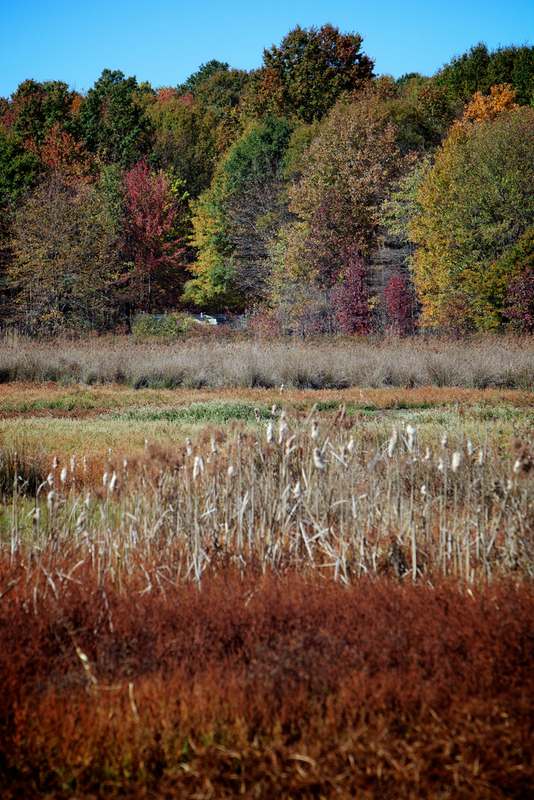 I will post a notification here when walter sanford’s photoblog goes live. I hope you will follow me to my new home. Please stay tuned. “Frogs alive!” was recorded live on 25 February 2013 at Huntley Meadows Park, Fairfax County, Virginia USA. 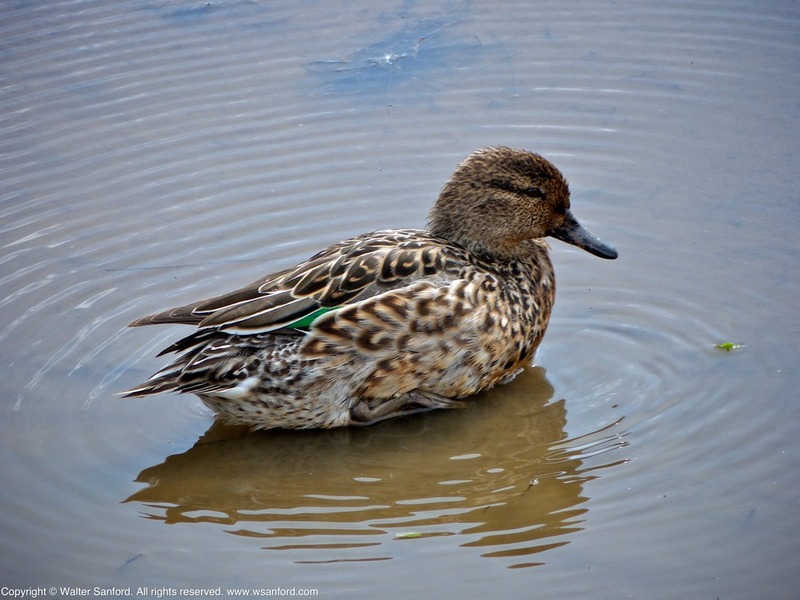 A couple of Green-winged Teals (Anas crecca) spotted during a photowalk at Huntley Meadows Park, Fairfax County, Virginia USA. 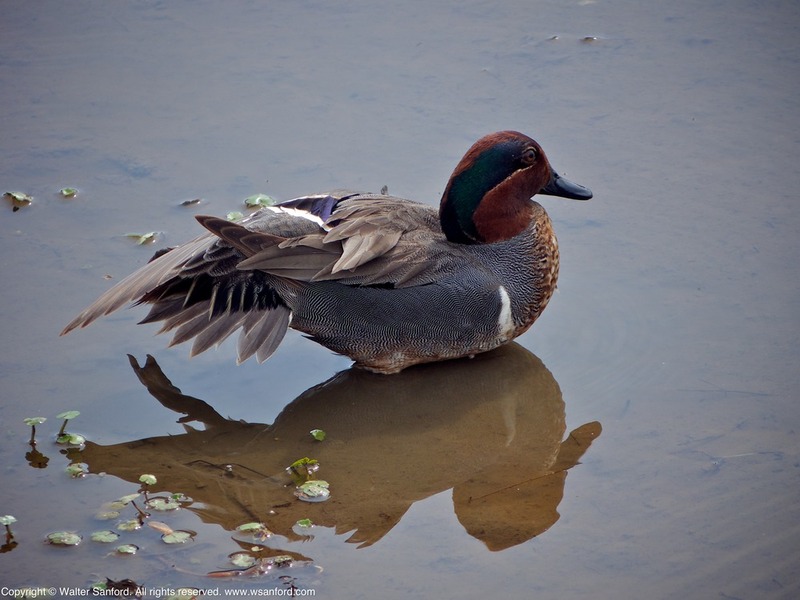 The male is shown in Photos 1-2; the female in Photo 3. 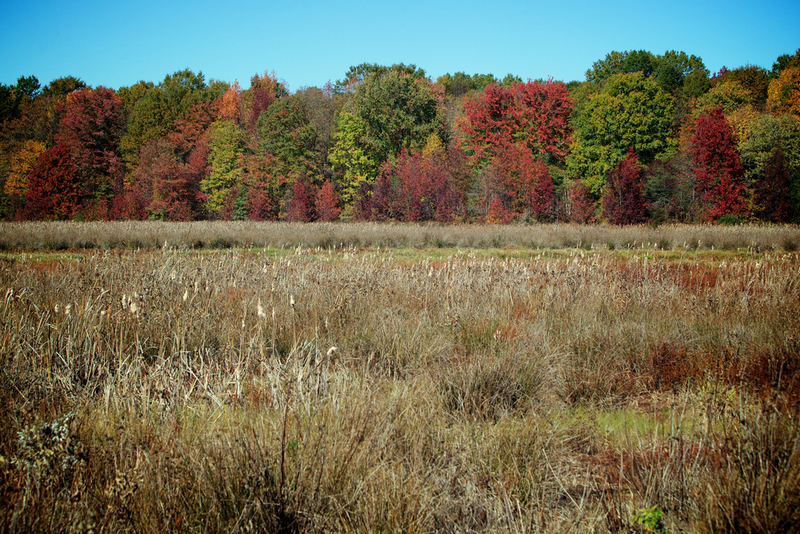 Tech Tips: BorderFX, a free plug-in for Apple Aperture, was used to add a text watermark to the photos. 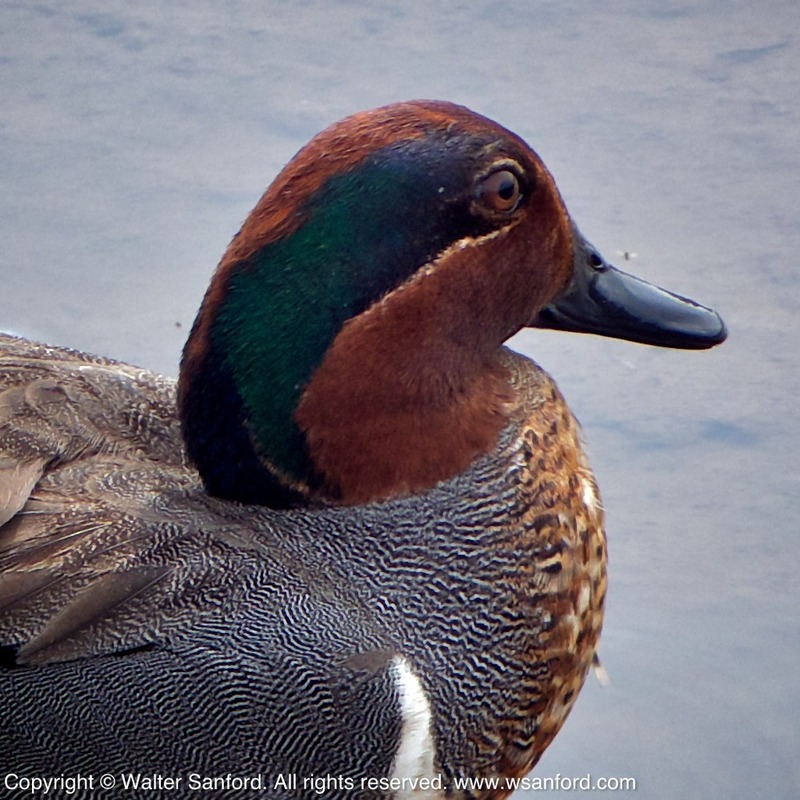 Tech Tips: BorderFX, a free plug-in for Apple Aperture, was used to add a text watermark. 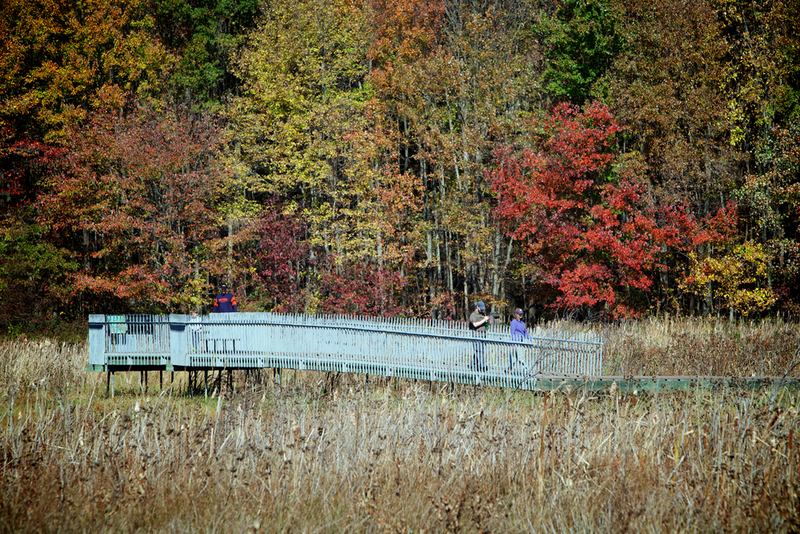 Fall foliage at Huntley Meadows Park, Alexandria, Virginia USA.